It's time to show us your very best black and white images. The subject doesn't matter, but the image must lend itself to the monochrome treatment. Consider the tone, texture, shapes and of course, the light, which are are all vital components to a winning black and white picture. The expert judge's chosen winner of the 'Mono Magic' contest will receive a Fujifilm Instax camera worth £250 GBP. The winner of the crowd vote will receive a year-long subscription to Digital Camera magazine. 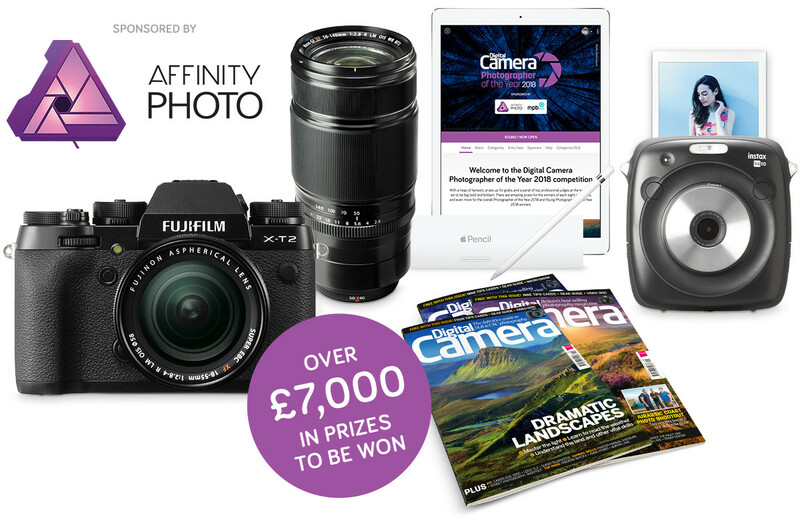 The overall winner of DCPOTY 2018 will receive prizes worth £4800 GBP: Fujifilm XT2 camera, Fujinon16-55mm f2.8 R LM WR, Fujinon 50-140mm f2.8 WR OIS XF, 12.9-inch iPad Pro (64gb), Apple Pencil, Affinity Photo, subscription to Digital Camera magazine.